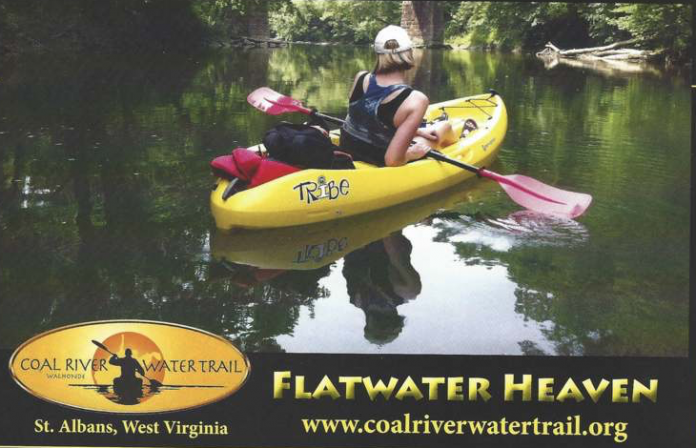 Termed ‘Flatwater Heaven’, the Coal River water system in West Virginia is quickly becoming the state’s best and most accessible flatwater paddling venue, all thanks to the tireless work of the Coal River Group; a non-profit dedicated to restoring the livelihood of the Coal River to provide recreation and economic opportunities to the region surrounding the state’s capital, Charleston, WV. 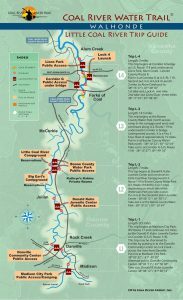 The Coal River Group’s restoration of the 88 mile Coal River Walhonde Water Trail is considered an award-winning design for rural water trail developments in the US by many national water trail organizations. This achievement is just the beginning of a prospect to develop over 1,000 miles of West Virginia’s beautiful river terrain for tourism and recreation. “God knows we need to diversify out state’s economy and the Coal River Group’s highly successful Coal River Water Trail has become the poster child for developing other river regions in our state,” says Bill Currey of the Coal River Group. 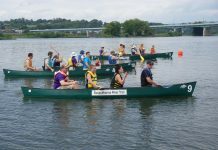 Through their work, the organization hopes to restore and protect the rivers and waterways, promote paddle sports recreation, and preserve the abundant history of the river. 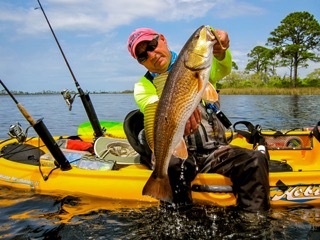 We talked to Bill Currey to get some insight on some of the best paddles on the Coal River Walhonde Trail. For beginners he recommends Trip L-1, a 9.5 mile paddle from Madison City Park to Donald Kuhn Center. If you’re looking for a wilderness trip he recommends L-3; a 12 mile fast-flowing trail through the beautiful wooded regions in the south Coal region. For fishermen, he suggests the C-2 trip from the Coal River Center to C-3, as it is loaded with record-size Muskie and Walleye. On the entire trail watch for Small Mouth Bass, Drum, Spotted Bass, and White Bass. 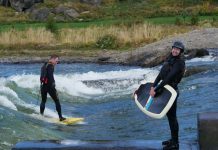 The Coal River Group is pioneering paddle sports in West Virginia through their impassioned work in river restoration. To learn more about their efforts and upcoming events go to http://www.coalrivergroup.com.